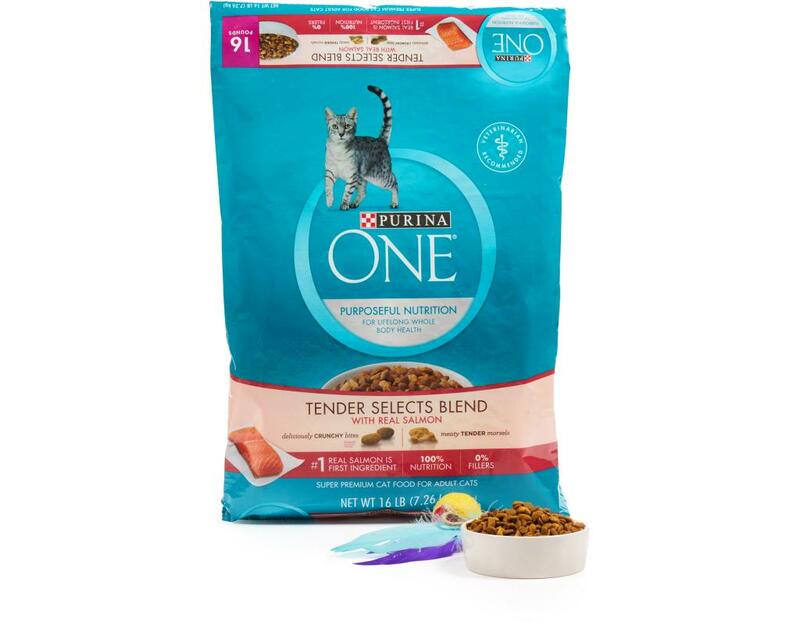 Purina ONE Tender Selects Blend With Real Salmon starts with your adult cat’s nutritional needs first to help support her optimal health, inside and out. With real salmon as the number one ingredient – and zero percent fillers – all of our high-quality ingredients have a purpose. 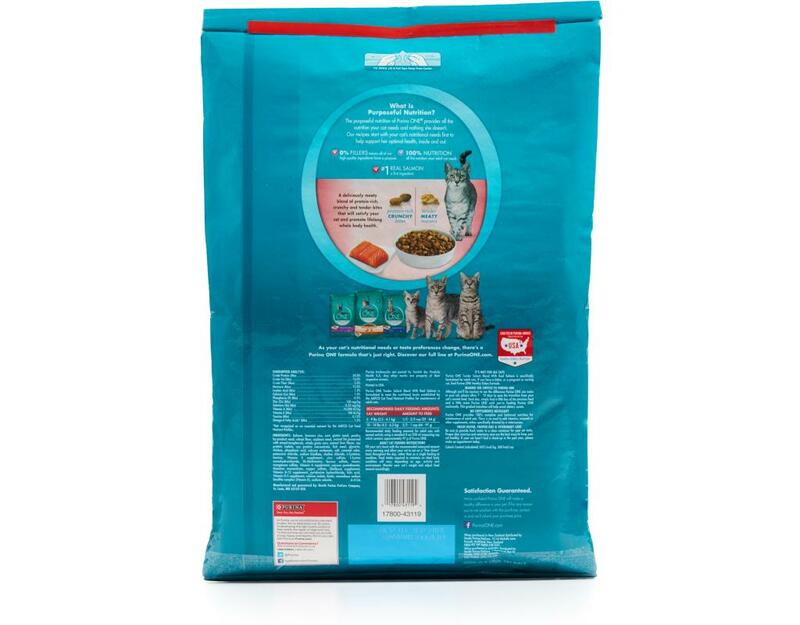 Omega-6 helps give your cat a radiant coat and healthy skin while the crunchy kibble helps reduce plaque build-up and whiten teeth. With 32g of protein per cup, it provides the protein your cat needs as a carnivore and helps support strong muscles, including a healthy heart. 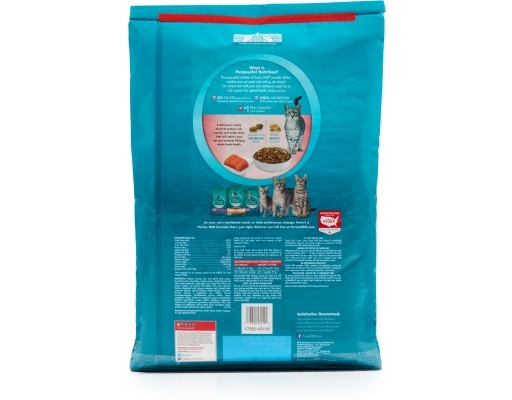 It is enriched with vitamins and minerals for strong bones and joints and is highly digestible so more nutrition goes to work inside your cat. Plus, it has a taste cats love. 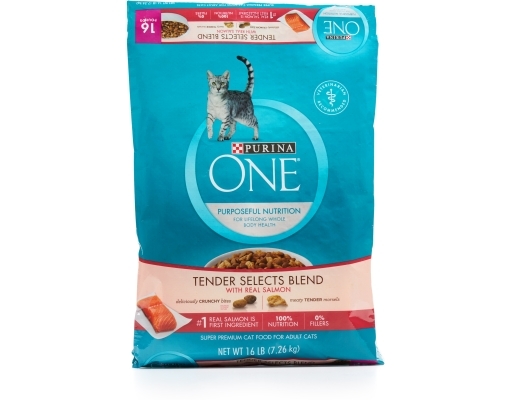 Purina ONE provides purposeful nutrition for lifelong whole body health. 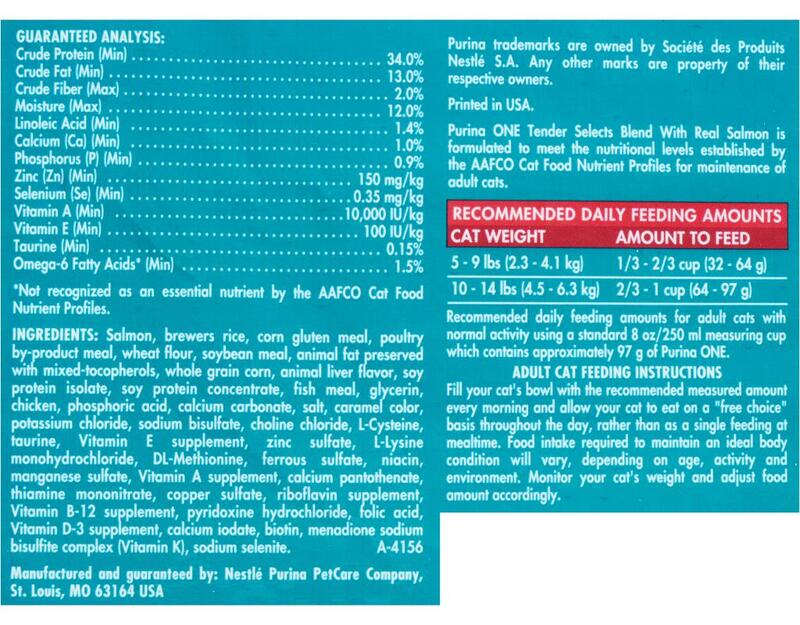 Purina ONE nutrition is veterinarian recommended and proudly manufactured at Purina-owned U.S. facilities. Purina ONE dry cat food is formulated with high-quality ingredients, including real poultry or fish as the #1 ingredient to give your cat the nutrition they need.